Another Corn Hybrid Field Day – This Week! The Champlain Valley Crop, Soils, and Pasture Team will have a field day September 1, at the Clifford Farm in Starksboro, VT to see a corn hybrid demonstration, comparing shorter season to longer season corn hybrids (83-89 day vs. a 96-day). 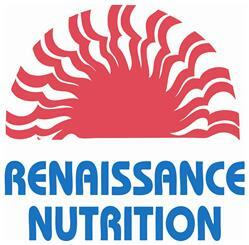 This is a FREE EVENT with lunch provided by Wolf River Valley Seeds, Renaissance Nutrition & Marcel Moreau. 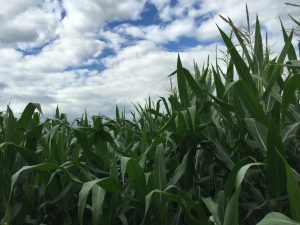 Research in northern VT has suggested that hybrid, as opposed to just day length, is important in determining corn yield. Shorter season corn hybrids were planted at multiple sites to demonstrate which of them perform as well as longer season hybrids. 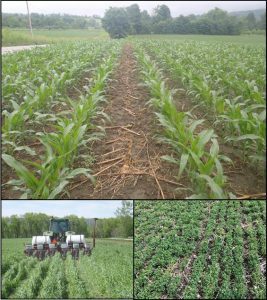 The objective is to find optimum day length to balance yield, performance on local soils, and have time in the fall for successful cover crop seeding and establishment. After lunch there will be the opportunity to look at a field that was no-tilled after first cut hay and check out the farm’s new no-till closing wheels. To request a disability-related accommodation to participate in this program, contact Karen Gallott, UVM Extension by 8/30/2016 at 802-388-4969 or toll-free in Vermont at 1-800-956-1125 so we may assist you. This material is based upon work that is supported by the National Institute of Food and Agriculture, U.S. Department of Agriculture, under award number 2014-68006-21864. Any opinions, findings, conclusions, or recommendations expressed in this publication are those of the author(s) and do not necessarily reflect the view of the U.S. Department of Agriculture. 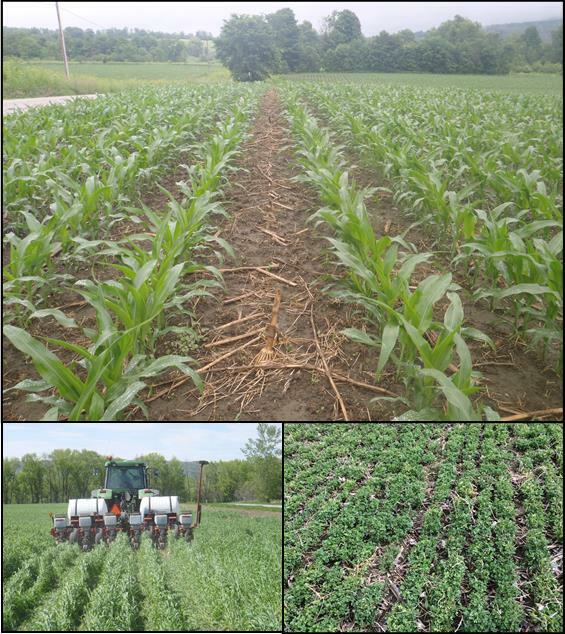 Join us for two upcoming events looking at cropping systems in Addison and Rutland County. Special thanks to Crop Production Services for providing lunch. Crop Patrol in the Southern Champlain Valley. Join us and the Champlain Valley Farmer Coalition as we ‘tour’ neighboring fields to look at no-till corn, alfalfa and annual ryegrass. The event will begin at Dorset Peak Jerseys, in Danby, VT – 468 Danby Mt. Rd. More information can be found on our flyer: crop patrol 8-30-16, or by contacting Rico Balzano [rico.balzano@uvm.edu, 802-388-4969 x 338]. This event is free. 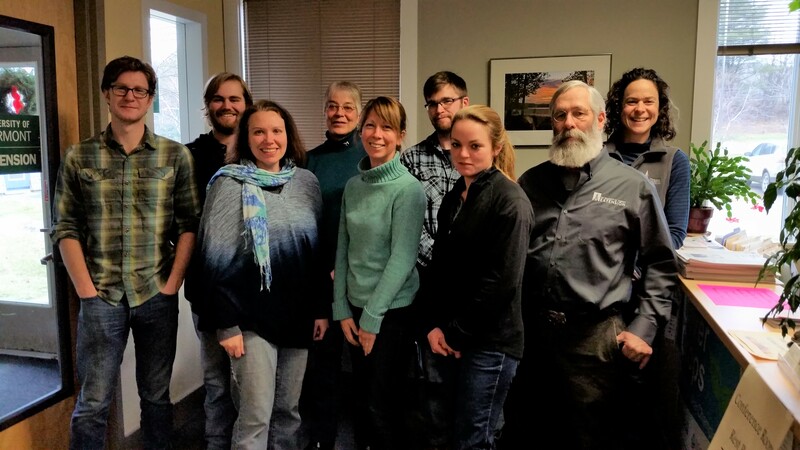 University of Vermont Extension and U.S. Department of Agriculture, cooperating, offer education and employment to everyone without regard to race, color, national origin, gender, religion, age, disability, political beliefs, sexual orientation, and marital or familial status. To request a disability related accommodation to participate in this program, please contact Karen Gallott at (802) 388-4969 or 1-800-956-1125 (toll-free in Vt. only) by August 22, 2016 (first event) and August 27, 2016 (second event).